How can mathematics modeling help hospitals evaluate treatment protocols? How can sustainability be infused into the University’s curriculum? Did post-traumatic stress disorder exist during the Crusades? What do you notice about your surroundings when you paint a picture of the James River from the same location every day for 10 weeks? These represent just a few of the questions posed by A&S students who presented their work at the 32nd A&S Student Symposium on April 21. 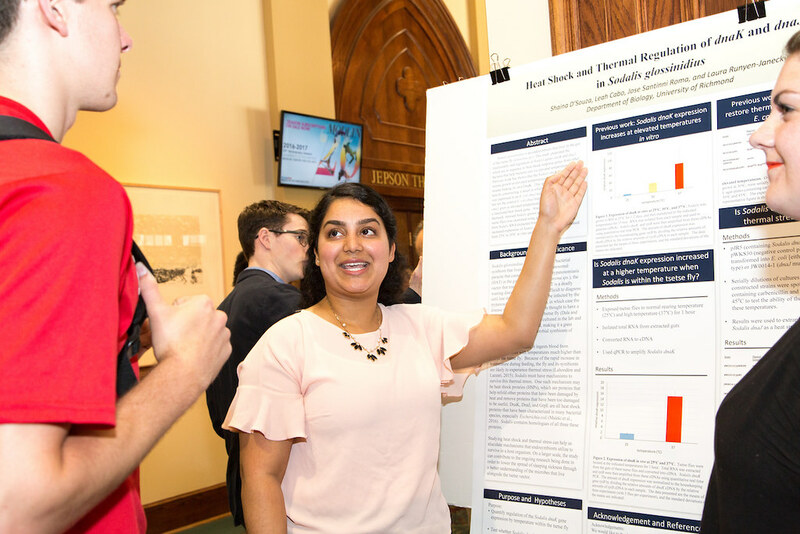 The event featured more than 300 students from 32 disciplines sharing their findings in the form of posters, talks, art exhibits, and performances. 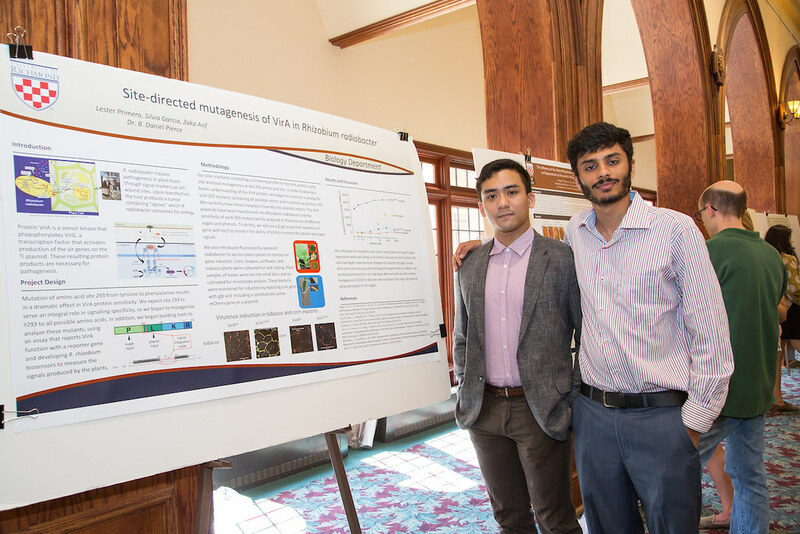 With the financial support provided by the University of Richmond and the mentorship of A&S faculty, students have the opportunity to design and pursue a project that interests them. 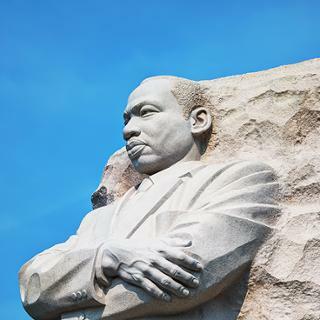 But what inspires our students to ask the questions that lead to their research projects? 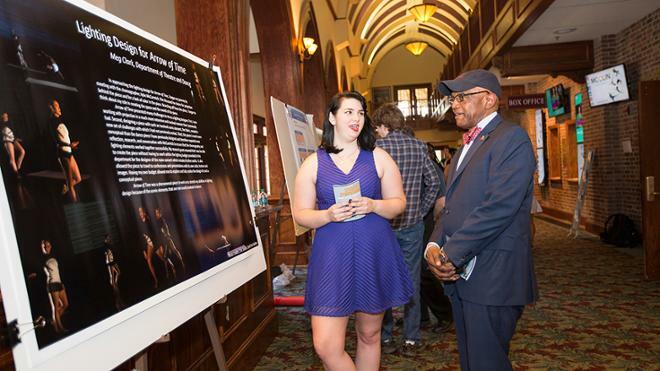 Rebecca Tribble, ’17, took the inspiration for her art history thesis on Dutch material culture from the 17th century from her study of still life paintings. Still lifes seemed fairly straightforward to her, as they were a collection of objects that were painted, but she found varying opinions. “Some scholars thought they were symbolic and others thought they were superficial,” she said. Tribble wanted to look at current art history methodologies, specifically how art historians study oil painting, and apply that methodology to still lifes, which are also created in oil, with the goal of finding a more nuanced understanding of the images. That research got her interested in the Dutch people themselves, and their daily lives, which expanded her final paper. “I include a lot of different objects in my thesis that aren’t traditionally associated with art history, like a salt cellar, imported Chinese porcelain, and doll houses; these unconventional objects actually lent themselves well to the study,” she said. 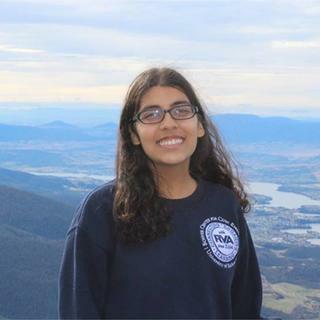 For Gia Nyhuis, ’17, her experience in the SSIR, “Human Rights and Modern-Day Slavery,” drove her to look deeper into the subject of human trafficking. 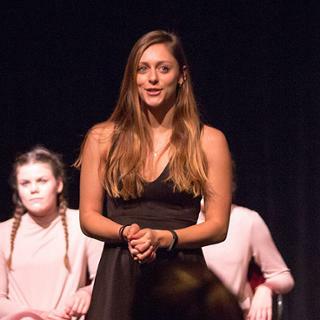 As a double major in political science and Latin, Nyhuis developed an interdisciplinary project that explored links between ancient Roman laws and current international human trafficking laws. The key to her project was 17th century Dutch jurist Hugo Grotius, who is known as the father of international law. “I looked at the trajectory of Roman laws on piracy and how Grotius applied concepts from Cicero, Ovid, and other classical authors in his writings, and how those writings became the basis for human trafficking law,” she said. 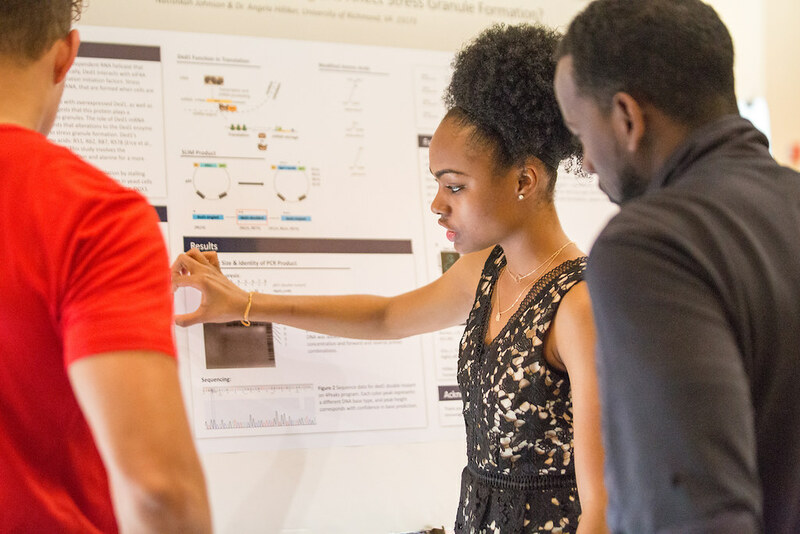 With support from A&S Summer Research Fellowships and the Richmond Guarantee, 162 students are beginning to seek out the answers to their own questions this summer. We can't wait to hear what they find.